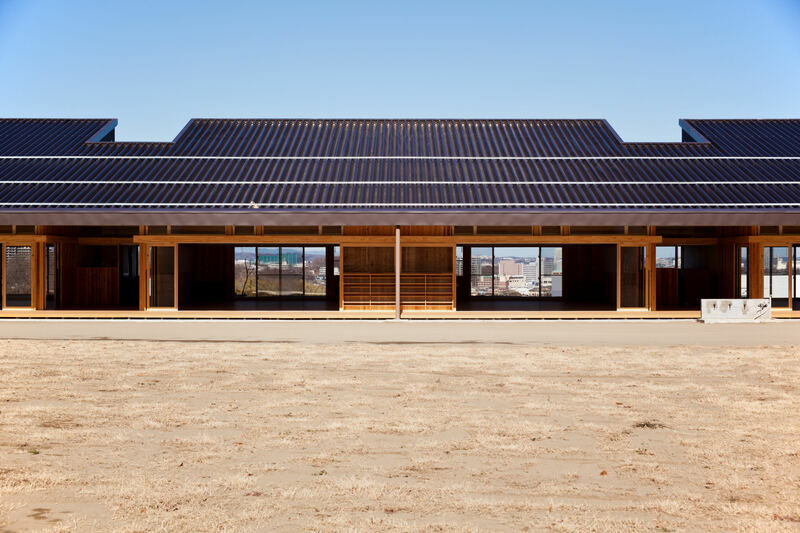 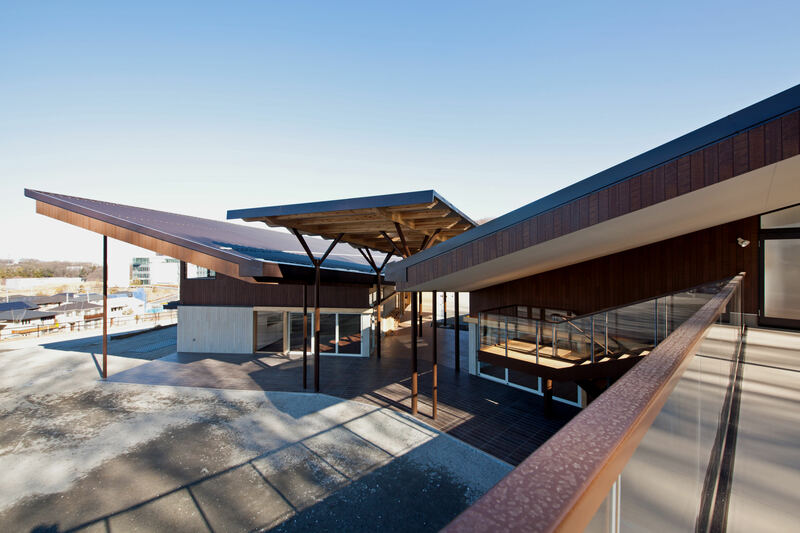 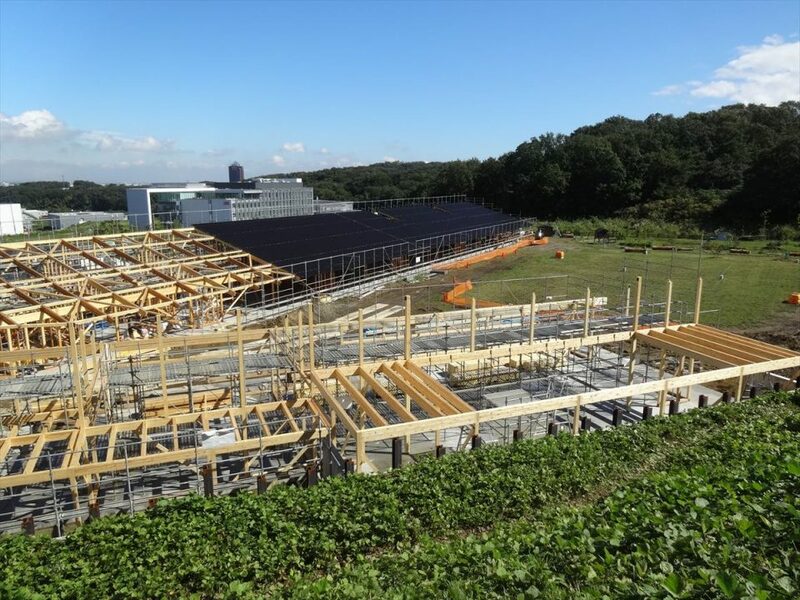 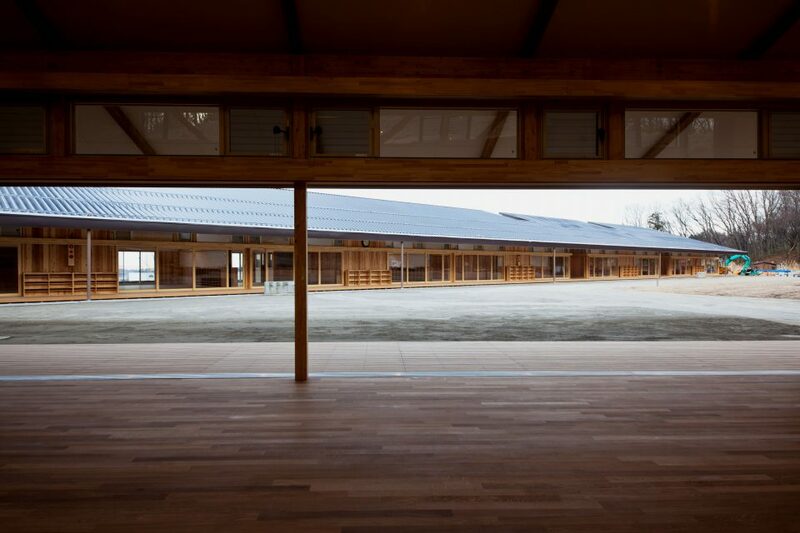 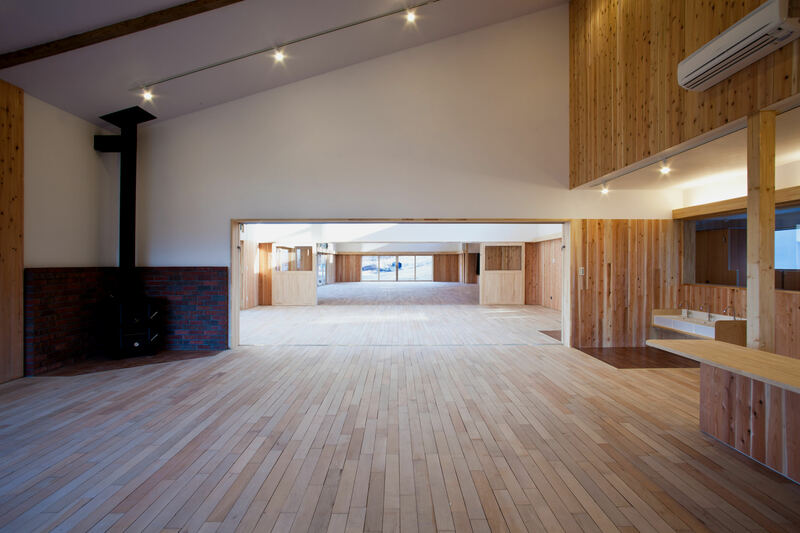 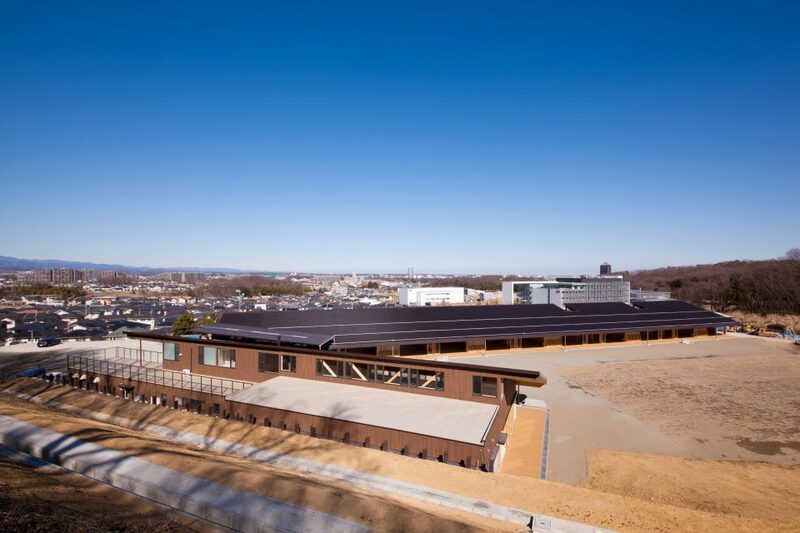 The building of “Tokyo Yurikago Kindergarten” has a V-shaped structure and stands on a vast 2.5-hectare site. 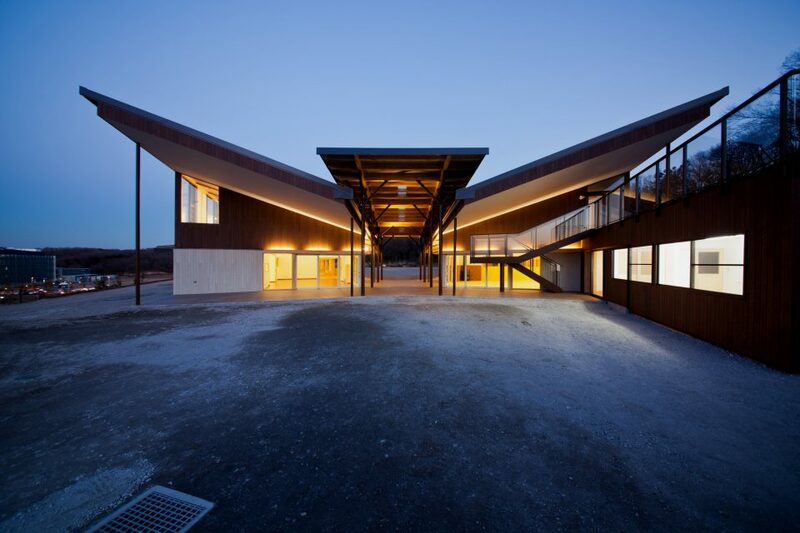 One of the wings of the V-shaped building stretches about 100m in length with class rooms arranged in a row, all of which face the yard across the corridor. 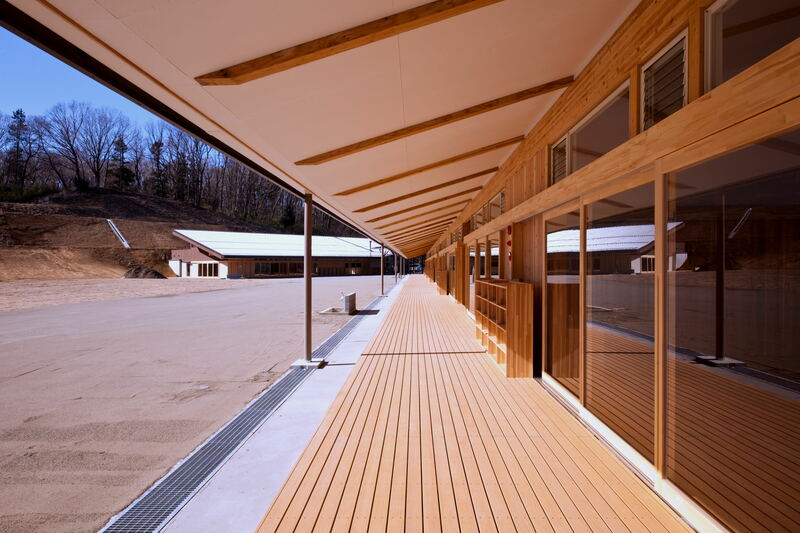 Around a 10-meter span of each classroom was realized by joining the end of ready-made LVL l-shaped beams using beam end connectors for mid to large-scale structures. 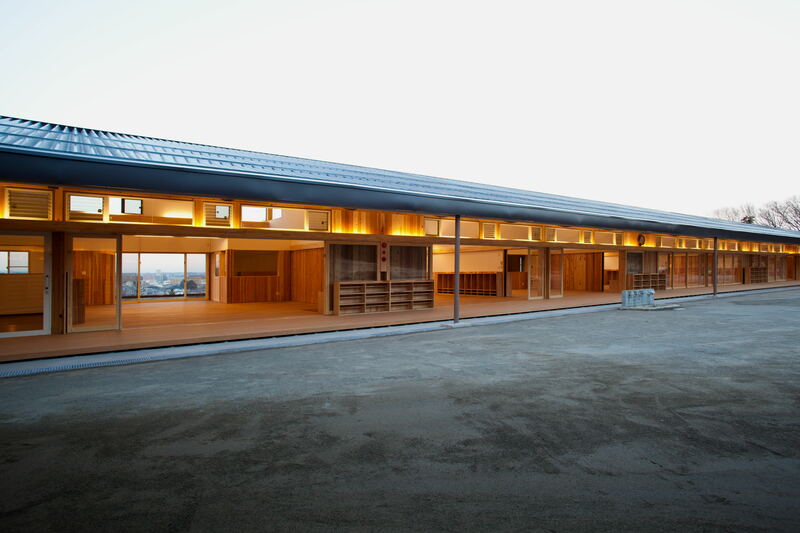 Node.HSML. 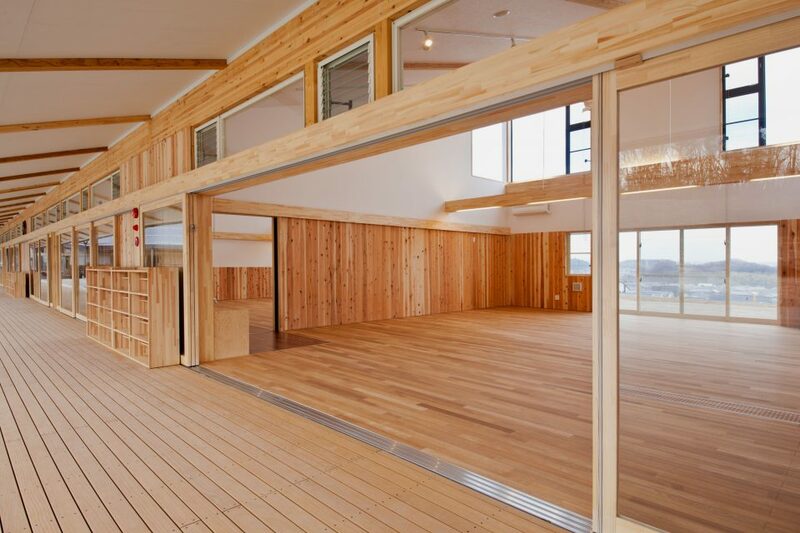 Through the economic construction method that applies a generic wooden architectural technique, they saved a lot of cost despite the size of the building. 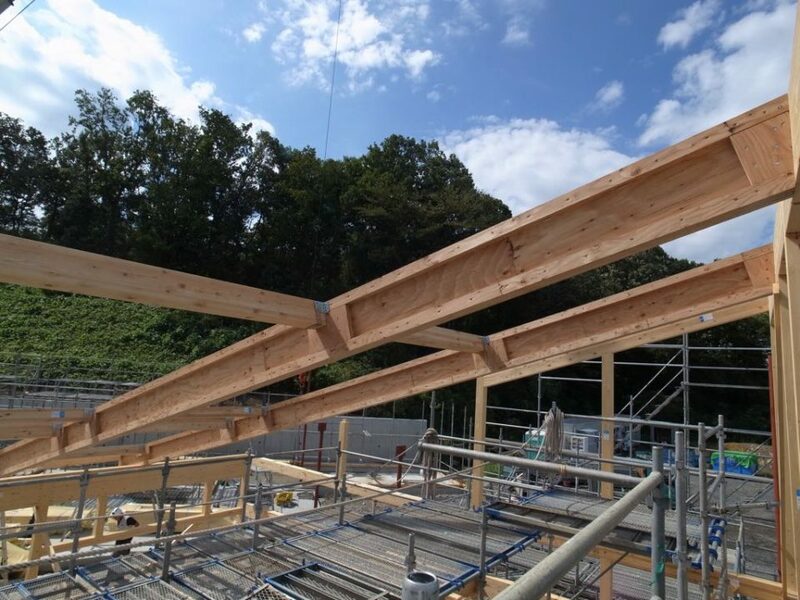 In addiction to that, since the upper structure of wooden buildings is lighter than that of steel buildings, the required foundation size is reduced in wooden architecture. 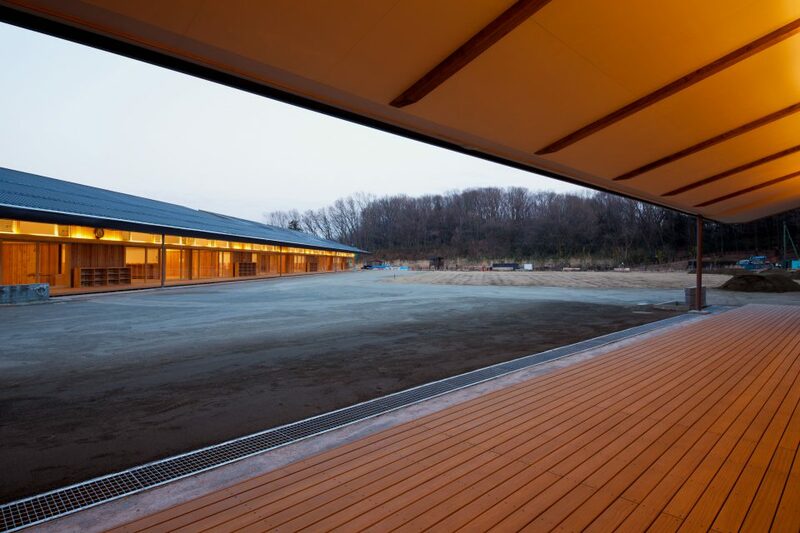 This advantage also contributed to the cost reduction.